Rosuvastatin is a type of drug that works to control the level of cholesterol in your blood by blocking an enzyme in the body that is needed to produce cholesterol. 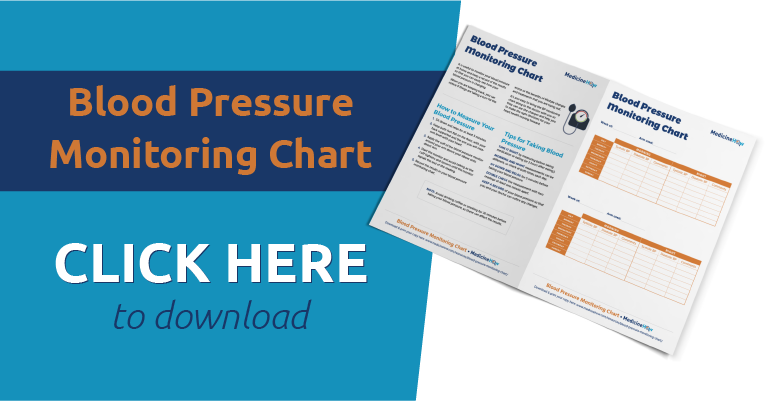 This means that the amount of cholesterol inside your body will be reduced, which is thought to help protect you from cardiovascular events such as a heart attack or stroke. Rosuvastatin is the generic name of the drug, which is the active component that works an effect on your body. You may also know it by the brand name such as Crestor, which is the name given by the drug manufacturing company. Crestor is available in several different doses including 5mg, 10 mg, 20 mg and 40 mg. Most people who begin with a low dose such as 5 mg or 10 mg once a day. The dose can then gradually be increased as needed until the cholesterol in the blood reaches a safer level. Your doctor will usually schedule a follow-up appointment in about a month to monitor the effects of the drug and make changes if needed. This allows your body time to adjust to the drug and reduces the risk of side effects, rather than starting with a dose that is too high. 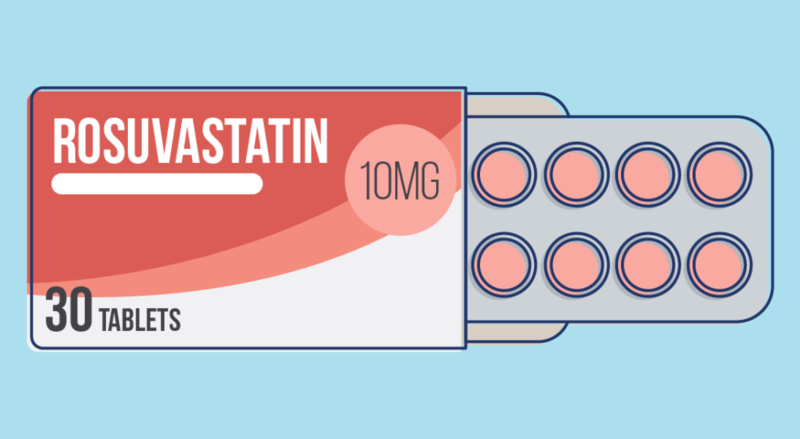 Rosuvastatin is one of the most effective statin drugs to reduce the level of cholesterol in the blood. It is also a good choice because it is less likely to interact with other drugs that you may be taking. What is rosuvastatin used for? Rosuvastatin helps to lower the LDL cholesterol and triglycerides concentration in your blood and increase HDL cholesterol concentration. Each of these factors can be helpful to prevent cardiovascular events from occurring because it is less likely the plaque will build up in your blood vessels (atherosclerosis). If you have a high risk of cardiovascular disease, rosuvastatin can reduce your risk of suffering from a myocardial infarction, stroke, revascularization procedures, and death. Rosuvastatin should only be used in combination with diet and lifestyle alterations and not as a substitute for healthy living choices. Rosuvastatin changes the way that cholesterol is produced in your body to reduce the level of LDL cholesterol in your blood. This helps to reduce the build-up of plaque in your blood vessels and prevent atherosclerosis and related cardiac events. An enzyme called 3-hydroxy-3-methylglutaryl coenzyme A (HMG-CoA) reductase is needed to synthesize cholesterol in the body. 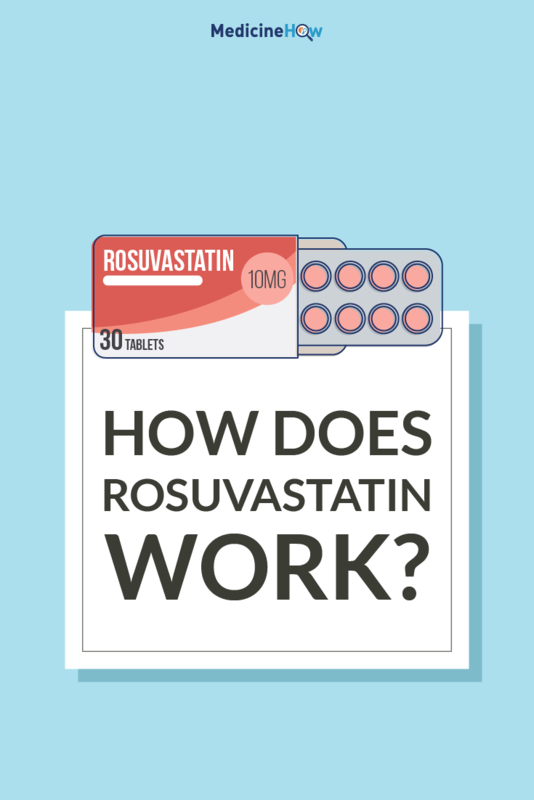 When you take rosuvastatin, it blocks this enzyme and reduces the rate that cholesterol can be produced so that the concentration of cholesterol in the blood decreases. Rosuvastatin can also increase the uptake of cholesterol from the blood in the liver. This means that more cholesterol is taken out of the blood and broken down in the liver, reducing the LDL cholesterol even further. Additionally, it can increase the concentration of triglycerides and increase HDL cholesterol. HDL cholesterol is sometimes known as “good cholesterol” because it is believed to help prevent cardiovascular events. Rarely, severe muscle pain called myopathy or rhabdomyolysis may present. This usually happens when the dose is too high, such as if there is an interaction with another drug or another related health condition increases sensitivity to the drug. In most cases, the effects will usually improve if your dose is reduced. It is important that you are aware of the possible side effects of rosuvastatin so that you can recognize the signs and talk to your doctor about decreasing the dose if needed. If you have severe trauma, infection or metabolic disease, there is an increased risk of side effects and complications such as myopathy, rhabdomyolysis, and renal failure. Your doctor may advise you to temporarily stop taking rosuvastatin until you recover to prevent this. These side effects are also more likely if you have poor renal function, which is often a natural part of aging. If you know that your kidneys aren’t working to their full capacity, make sure that your doctor knows so that they can prescribe the right dose for you. If you are taking any of these drugs with simvastatin, it is important that your doctor knows so that the dose can be adjusted if needed. Rosuvastatin should not be used during pregnancy because it can increase the risk of fetal malformation during the first trimester of pregnancy. If you are a woman of childbearing age, you should use contraceptive methods while taking rosuvastatin to avoid an unexpected pregnancy. If you are trying to conceive, you should first talk to your doctor about your medications. Rosuvastatin is not recommended for women who are breastfeeding due to the effect it could have on the baby if excreted in breast milk.